So... I took these photos like four weeks ago, but I couldn't come up with a post title. They've been sitting on my desktop haunting me. 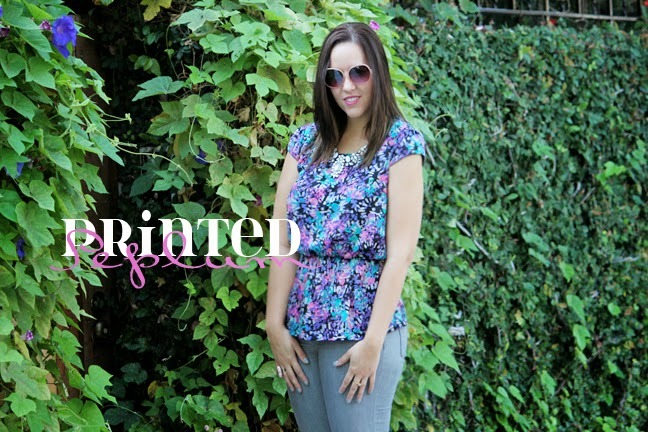 The only title I could come up with was "printed peplum," so that's what it is! Fashion blogger problems, right?!? Any who, I found this top a few months ago and immediately fell in love. Even though the color palette is very 90's, I think it's a fresh take. I have a weakness for anything peplum! Peplums are great for any body type, they help add curves where you need them and minimize the places you don't! I have yet to find a peplum top that looks good on me! The search continues!! Love the floral printed top. Great outfit. Visiting from Erin's link up. I also host a weekly link up on Thursdays. Stop by and link up. Love the top...peplums always look so good. And those shoes! Love! Love all your finds. Those cobalt wedges are AWESOME. that is such a pretty top on you! 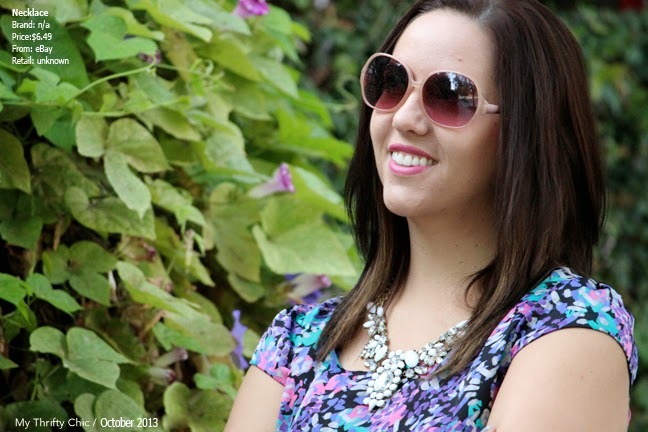 Love those shoes:) Thanks so much for linking up last week, the new linkup is live.